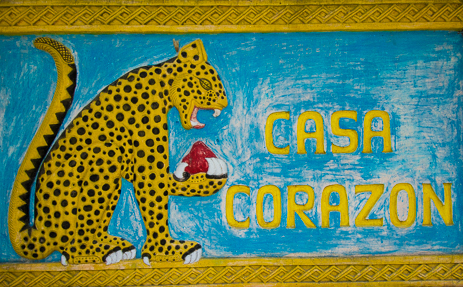 Casa Corazon will steal your heart. Every grain of sand and each star in the sky will bring you joy during your stay. Sand and turquoise waters as far as the eye can see! Corazon #3: First floor, 1 king, bath; second floor, 1 king, bath. Maximum 4. Add $30 per person per night for additional guests. 19% tax is not included. There is also a refundable security deposit of $300. Service fee of 8% of reservation requested at check in (credit card)	Minimum of 3 nights; Holiday requires minimum of 7 nights. 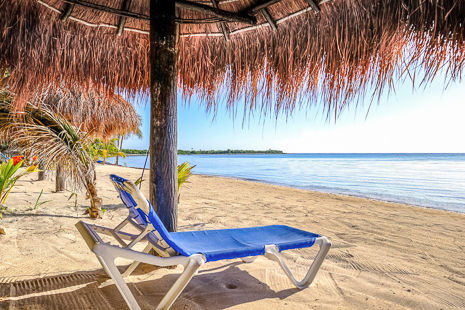 Discover the romance of a secluded bungalow on the beach! 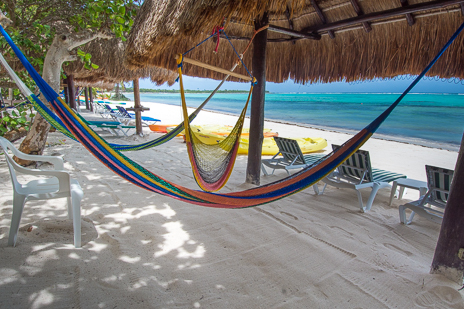 Exit your work-a-day world and escape to the private, undeveloped beach of Punta Bahia Soliman Tankah at Casa Corazon, just over an hour south of the resort city of Cancun. 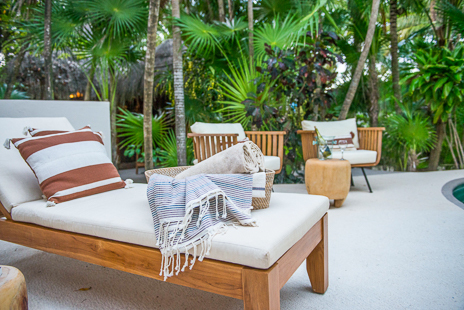 These romantic cottages are the perfect place to experience the magic of the Caribbean Sea and the Riviera Maya. 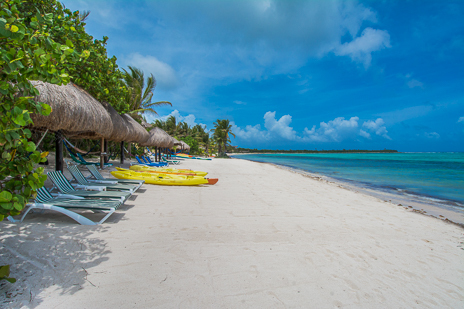 Step out your door and dig your toes in the white sand. 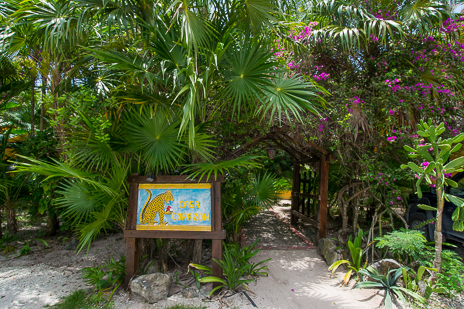 Casa Corazon has that wonderful atmosphere of the tropics. Enjoy scuba diving and snorkeling and paddling around the bay in one of the kayaks provided. Feel the breezes and hear the tropical surf with an open floor plan. 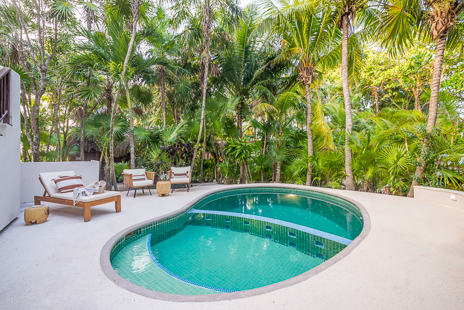 Casa Corazon has a swimming pool in a garden setting amidst the palmas. Comfortable cushioned seating and an outdoor shower add to the creature comforts. 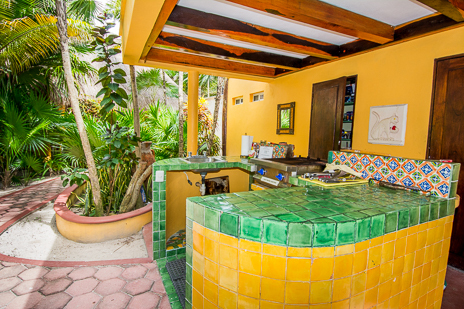 There is also a built-in BBQ grill for those you would like to cook up some fresh fish or burgers. 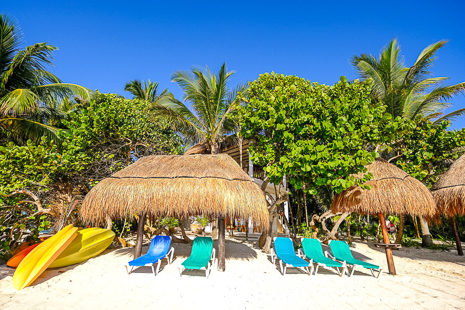 In addition, these charming bungalows on the beach have fully equipped kitchens. Cook service is available at an additional fee. And for those who like to sample location restaurants, there is a popular restaurant, Oscar & Lalo's, within a 5 mintue drive. Great lobster, the catch of the day and a cold cerveza (and tropical drinks) are on hand. CD stereo is provided for your entertainment in each bungalow. 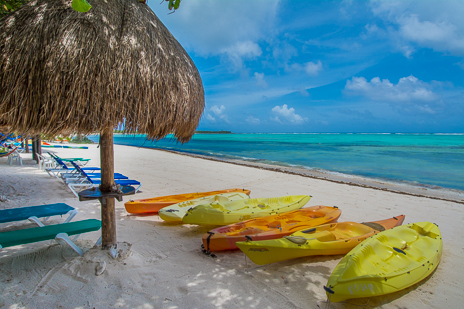 Sea kayaks are also available so you can enjoy paddling around the reef. Daily maid service and security is provided.